The Steve Weiss Traditional Cast Cymbal Pack offers an unparalleled value without compromising sound quality. Each set is hand-selected by our experienced staff to ensure that each cymbal blends well with the others. This pack is a phenomenal value and they contrast in sound so much from the cymbals I had before. They are awesome! Can't say enough about this cymbal pack. Very bright, nice sustain, clean crisp. These cymbals could be double the price and more than worth it. 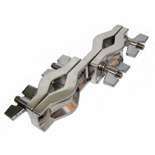 Ordering the 18" today. With the 18" great complete pack. 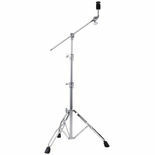 I ordered the Paiste ZBT 3 last year for a practice kit. Decent set for the money. A lot of cymbals for the money, but this pack blows them away. 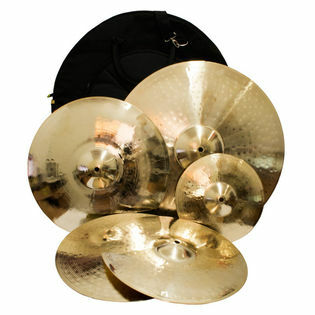 $299.00 for Paiste set, $375.00 for the Weiss pack cymbal for cymbals 20", 18", 16", 10" and 14" hats. Order this pack for the money you cant go wrong. Order them you won't be sorry! Great Job Steve! Big BANG for the buck! I had them for a couple of years now, and they are great. The pack is worth it just for the 16" & 18" and Hi Hats alone. I bought the 18" first just to see what I was in for. After I heard it I went ahead and got the pack. . . . . . .Not a bit sorry! The Weiss traditional cast cymbal pack was an excellent choice for our small church music team drum set. 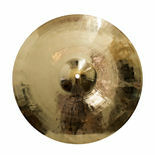 We didn't need "stage/recording" quality cymbals, so these were an excellent choice well within our budget. Thanks Steve Weiss Music! I saw these cymbals at the PASIC booth and was very impressed for the quality regardless of the price. 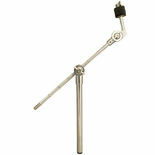 They are versatile and an excellent choice for adding to drum set shell packs. The splash and high hats are my favorite but the crash and ride are not far behind. The included cymbal bag is very nice and has an outside pocket for the high hats and splash. I even have a friend who bought two of the crash cymbals to use as hand cymbals.